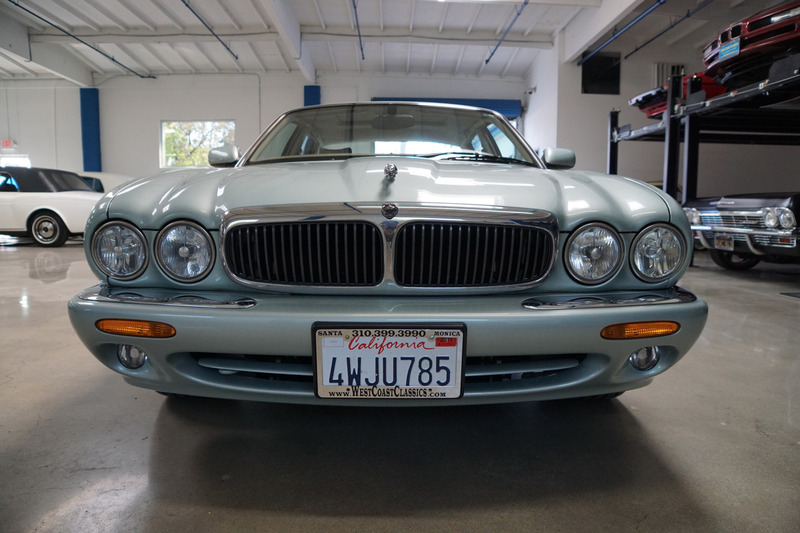 West Coast Classics are proud to present an absolutely exceptional and stunning example of this original southern California 2001 Jaguar XJ8 4.0L V8 4 door sedan with virtually every available option a luxury car could possibly need and in an incredibly striking and most desirable original 'Sea Frost Green' factory color paint with a virtually still flawless 'Cashmere' leather interior and a remarkable 11K (yes, eleven thousand!) original miles! 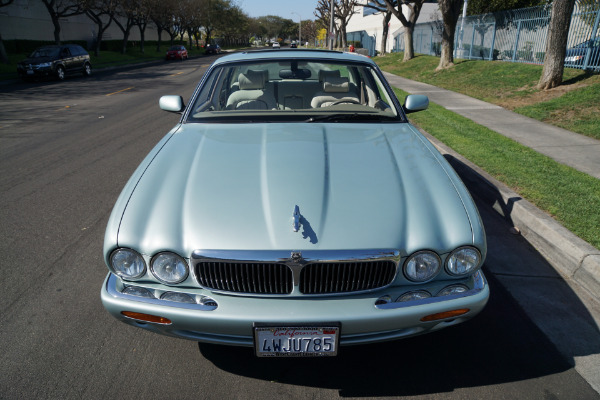 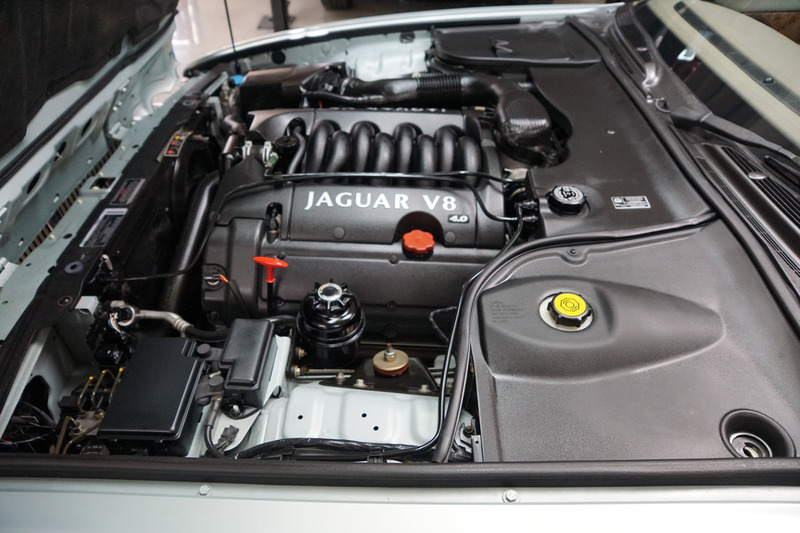 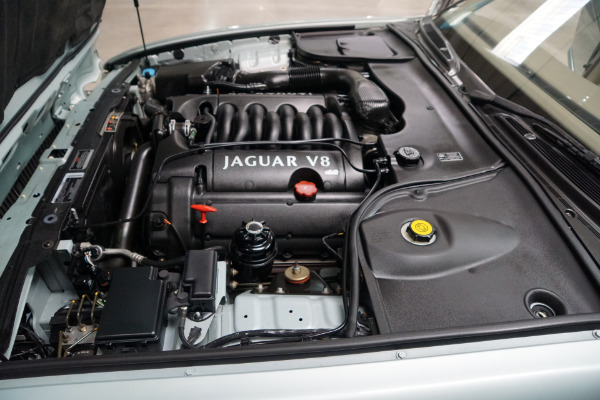 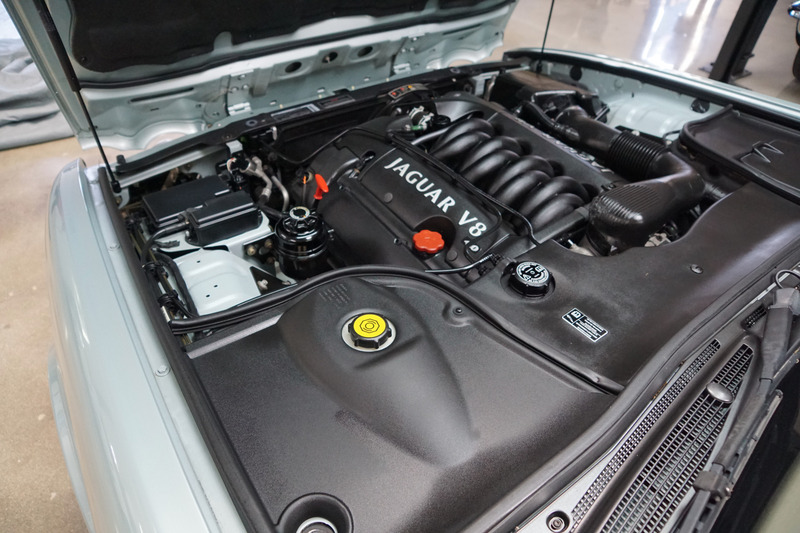 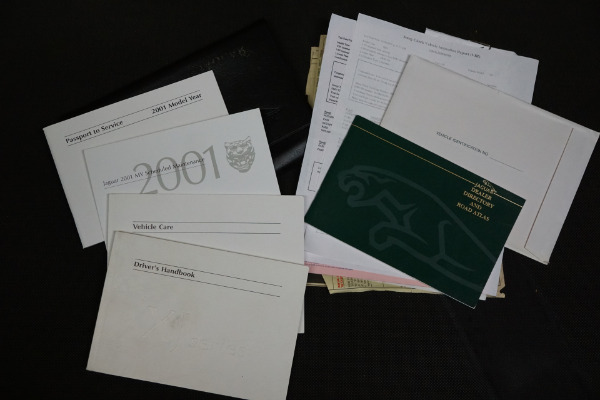 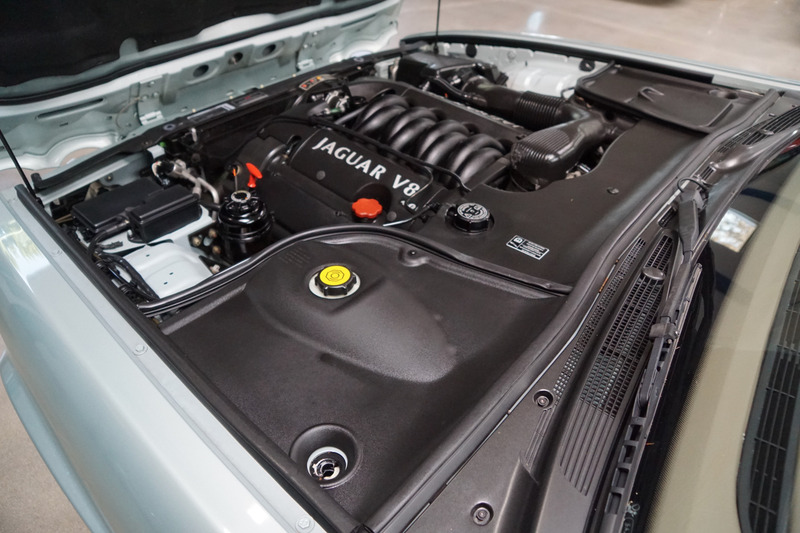 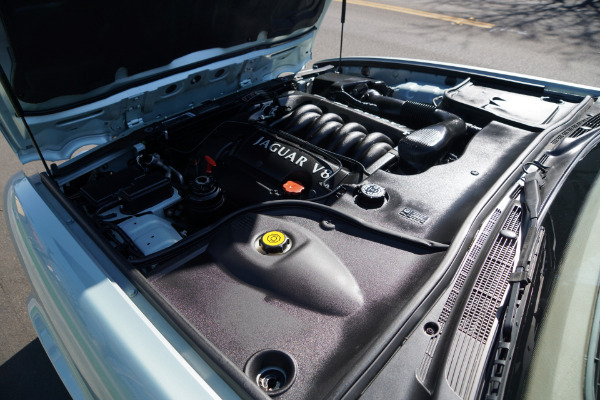 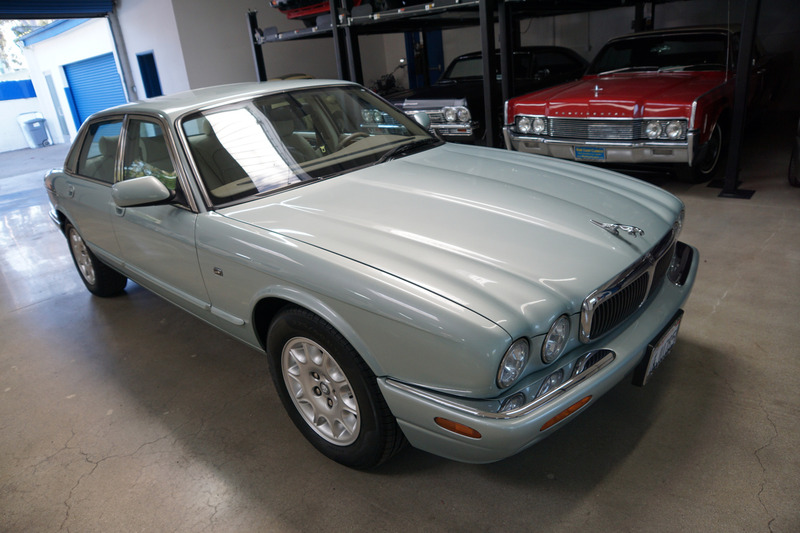 The Jaguar XJ was first launched in 1968 and is still being built today and it was the last Jaguar sedan to have been designed by the legendary Sir William Lyons! 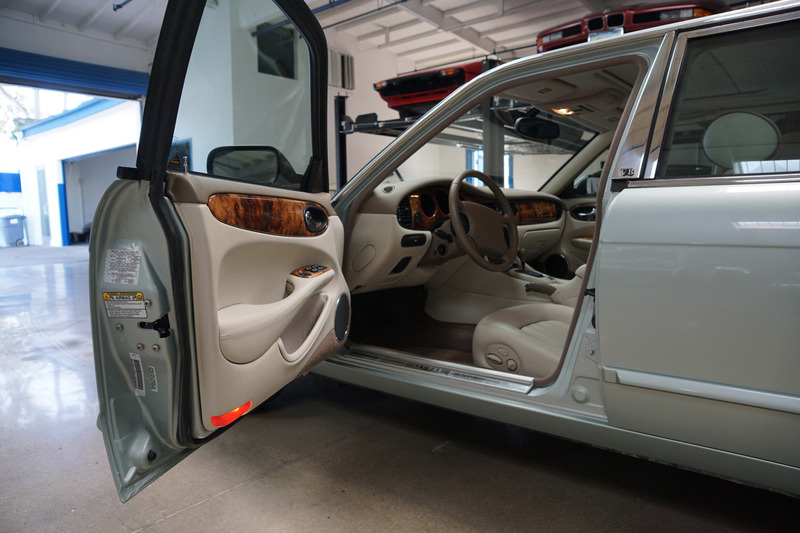 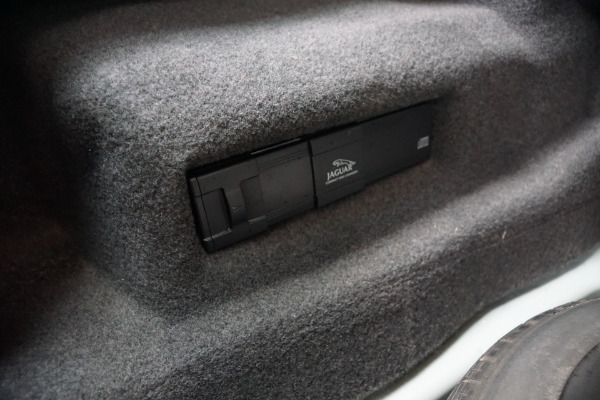 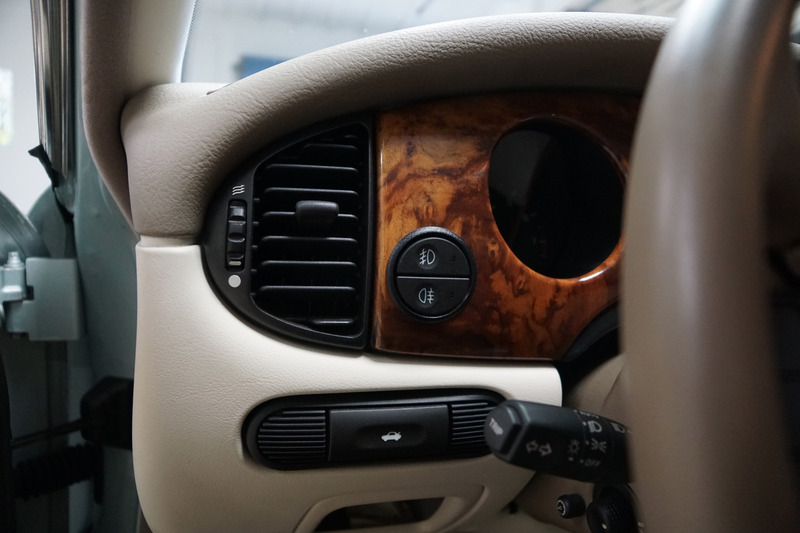 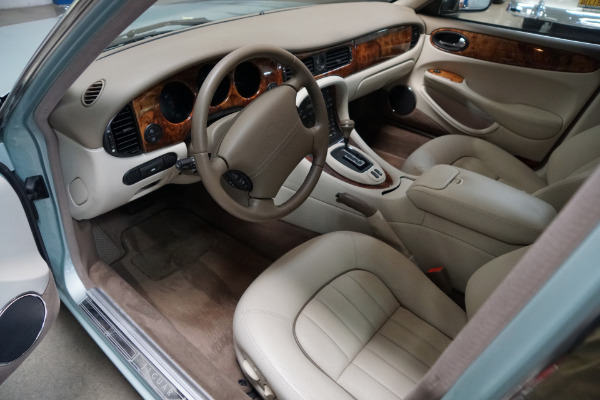 This penultimate year example of the X308 (1998-2002) generation has the 4.0L/290HP V8 instead of the 3.2L version and a five speed automatic transmission with overdrive and mode select and boasted every conceivable luxury sedan option. 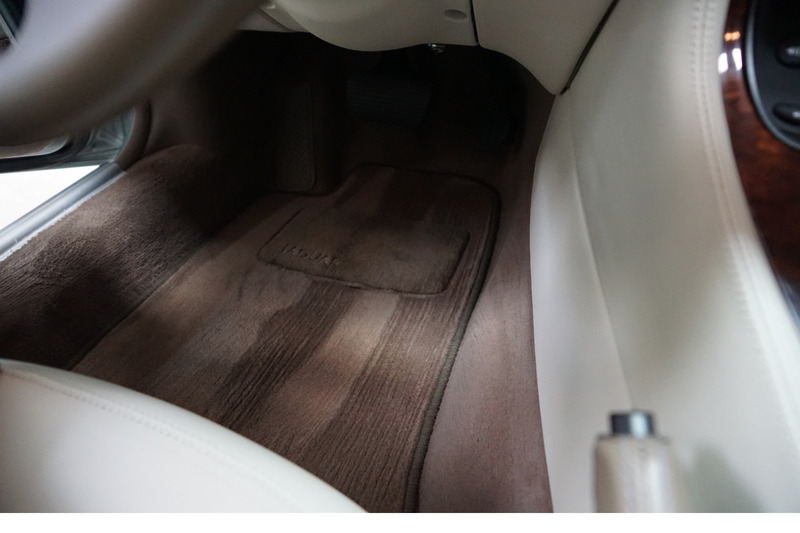 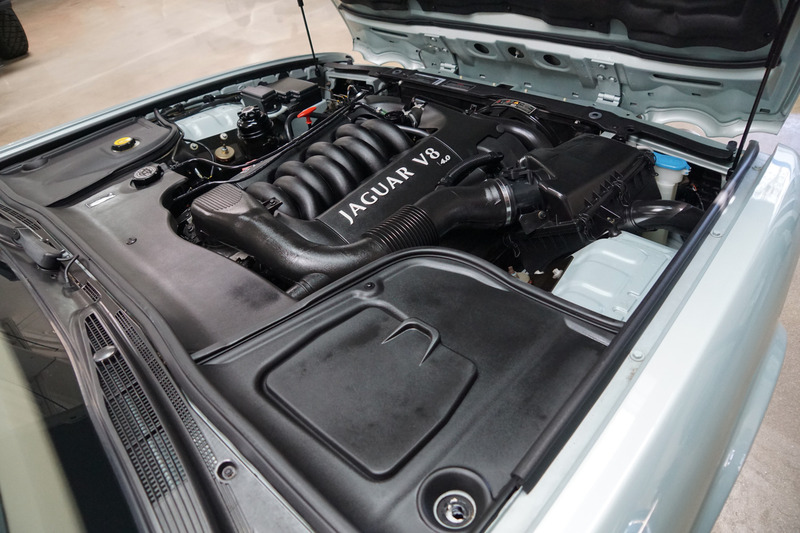 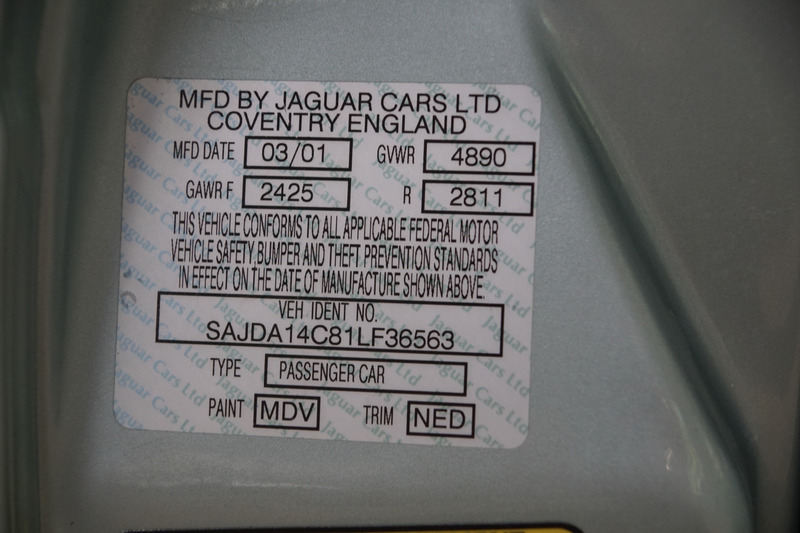 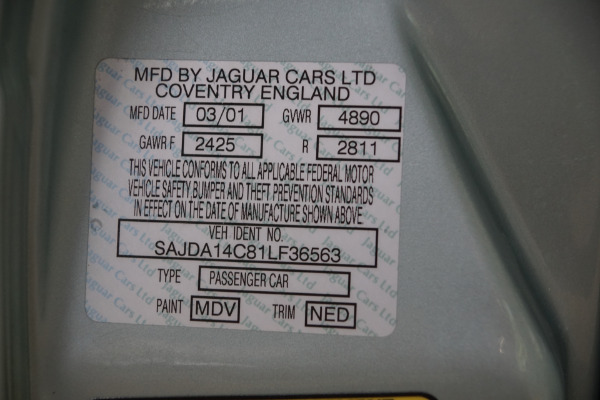 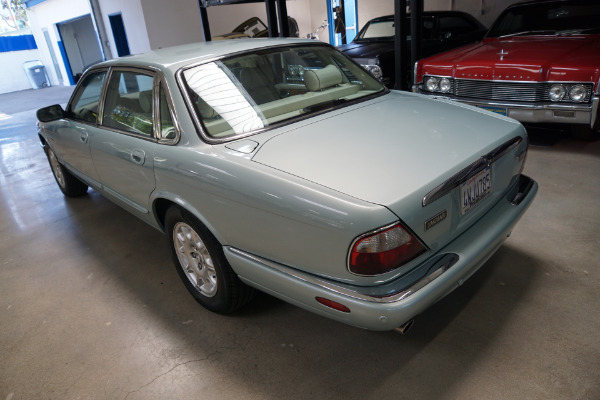 Britain's Jaguar XJ rear wheel drive luxury sedans were finally a true rival to such high end competitors as the BMW 7 series and the Mercedes Benz S Class in both prestige and price! 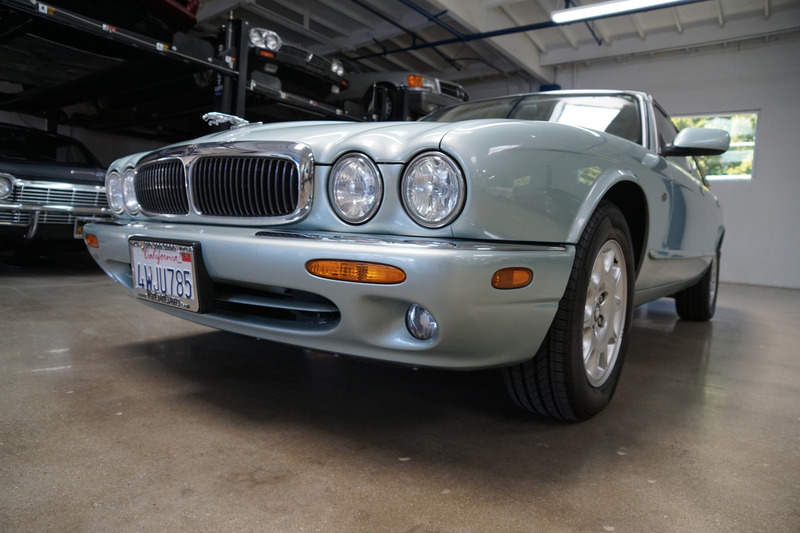 Purchased new in southern California at 'Rusnak Jaguar' of Pasadena, CA on 1/19/2002 and always primarily serviced by both of its southern California owners at either Jaguar dealerships of certified independent repair shops where the car has been regularly maintained on schedule - the car must drive almost the same as when new, simply a stunning example of an obviously always babied and pampered garage queen if there ever was one with no signs of any accidents or body damage and only 11K original miles! 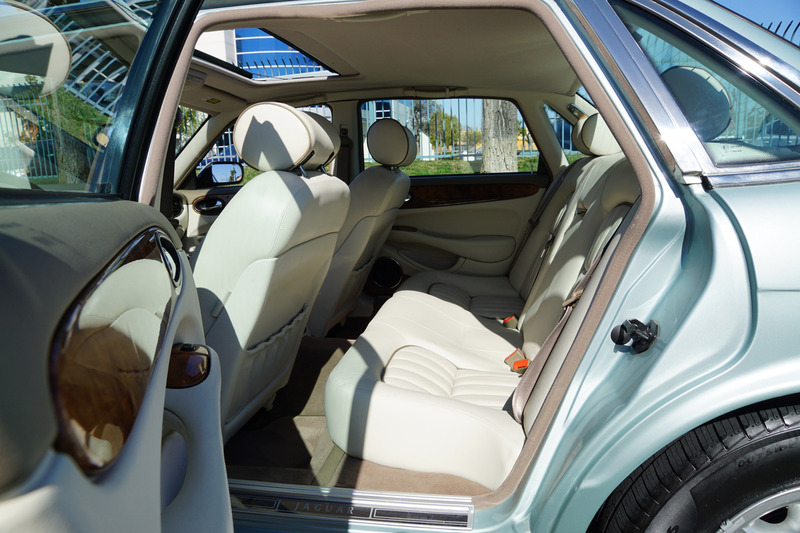 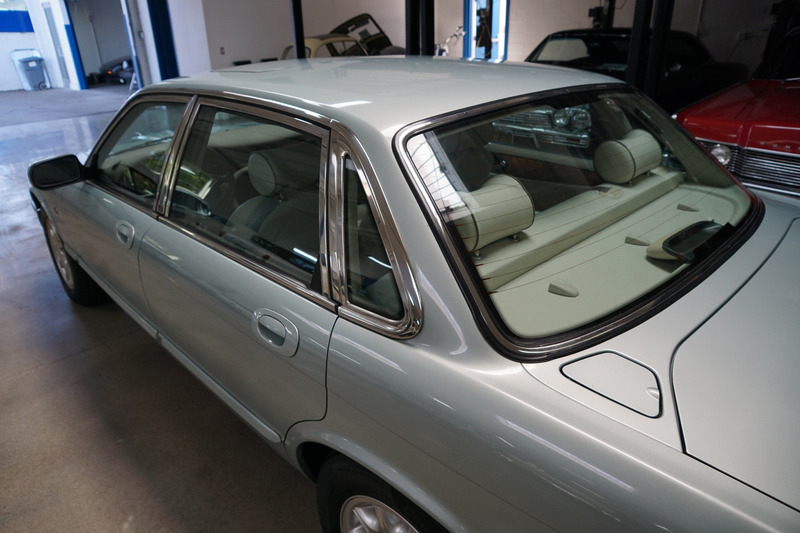 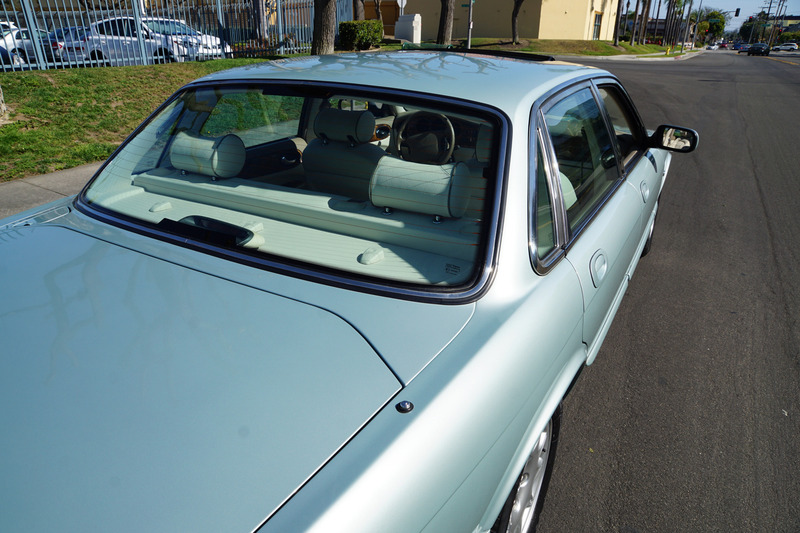 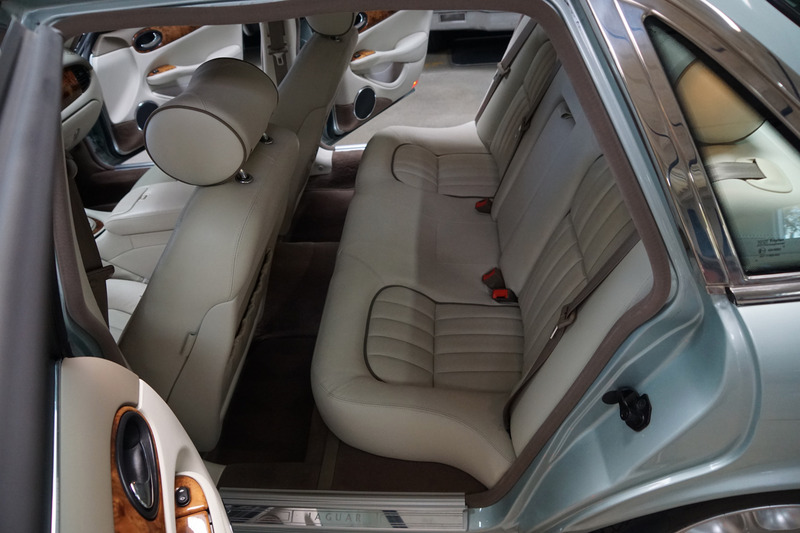 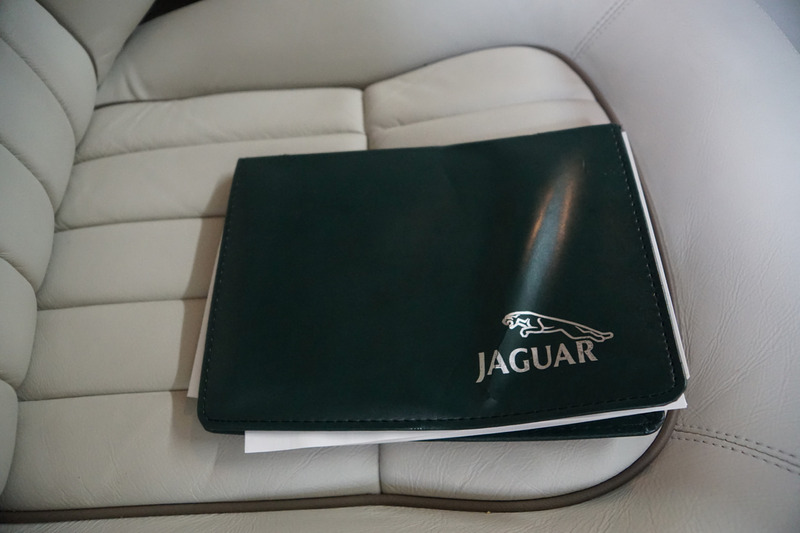 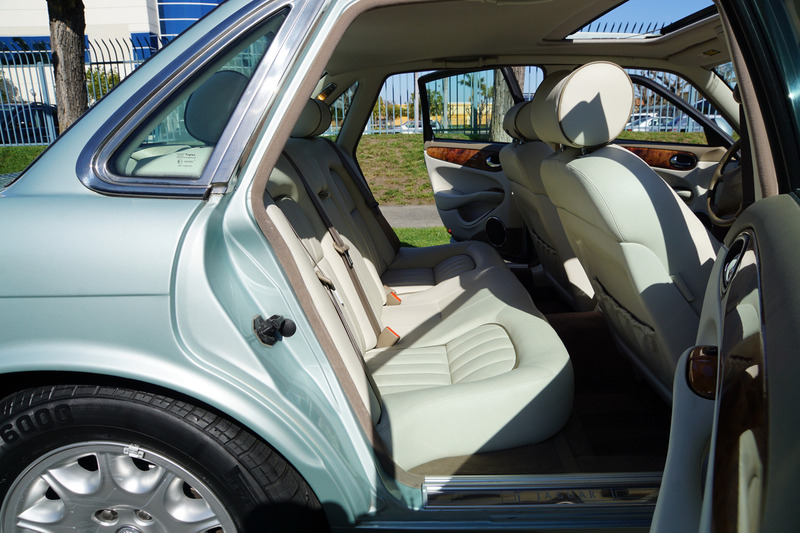 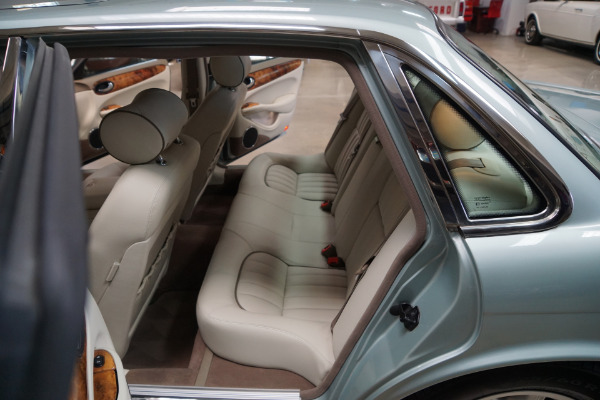 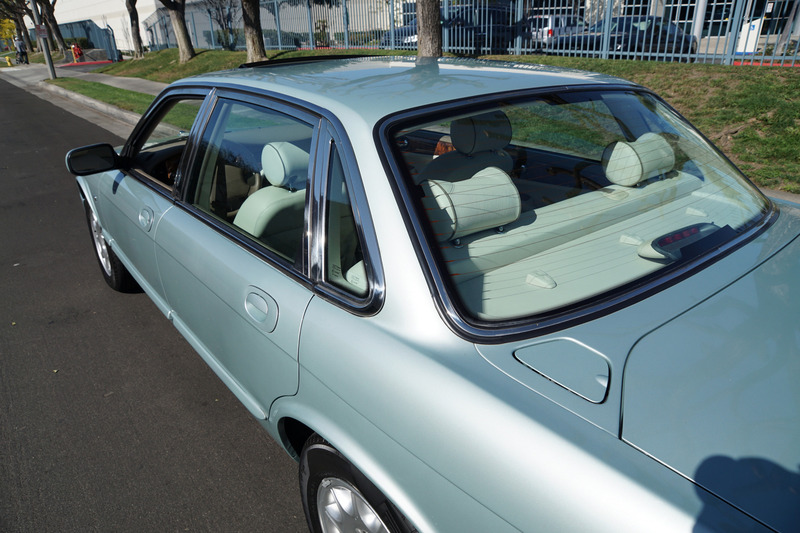 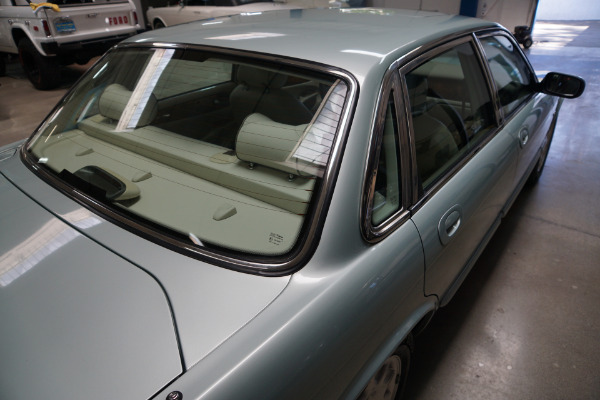 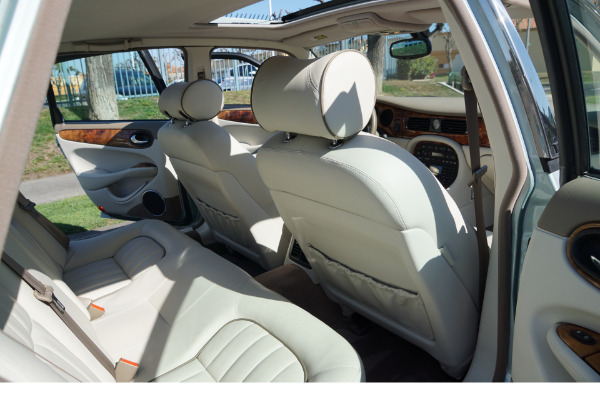 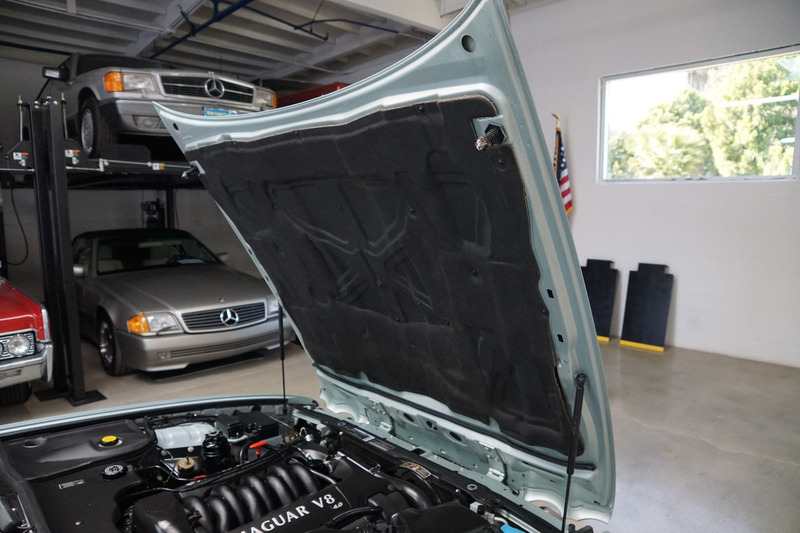 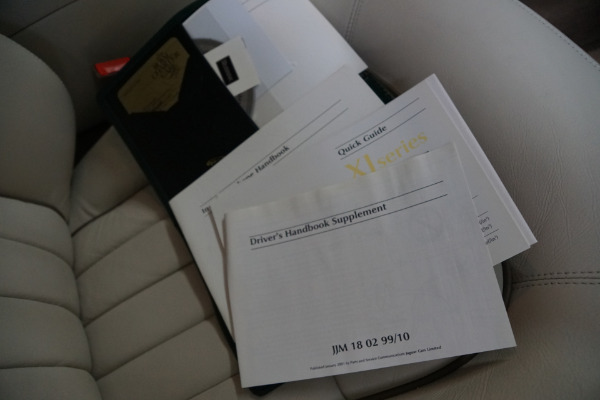 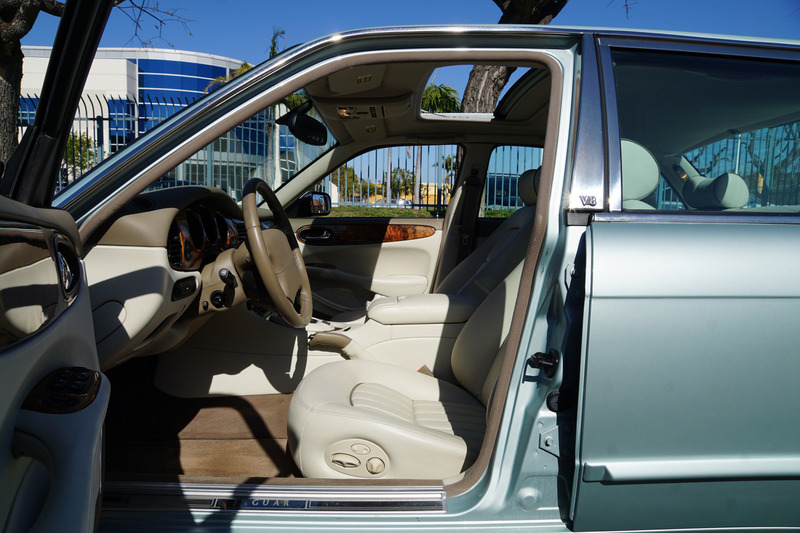 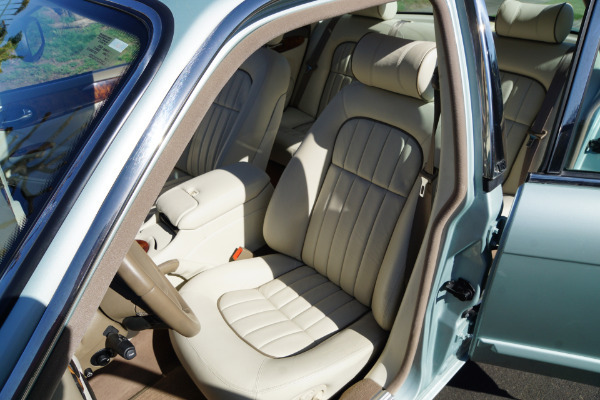 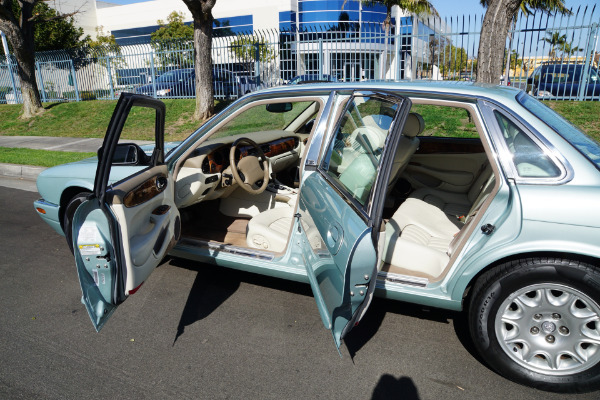 The original factory 'Sea Frost Green' color paint is in absolutely beautiful and virtually flawless condition as is the 'Cashmere' leather interior which has virtually no signs of any wear and all the options are working as they should including the ice-cold A/C! 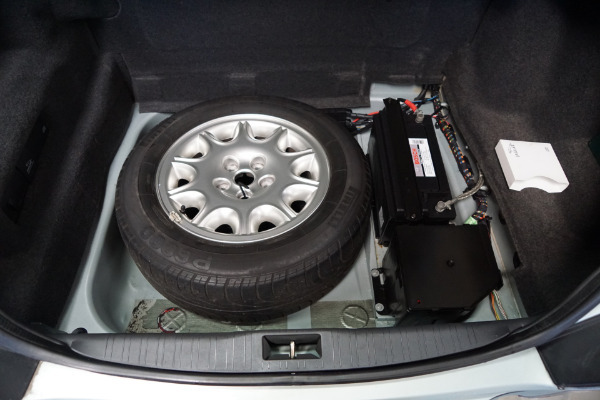 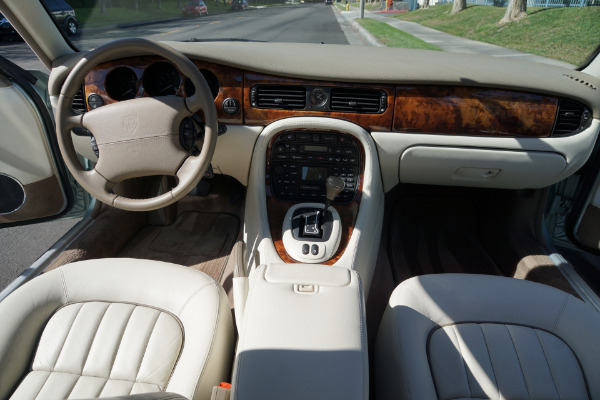 The car drives exactly like such an ultra low mileage model should and must be seen and driven to be truly appreciated! 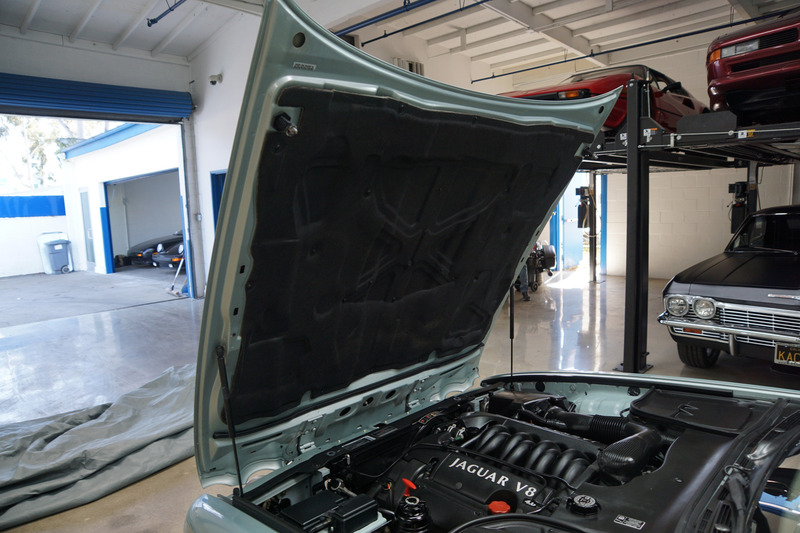 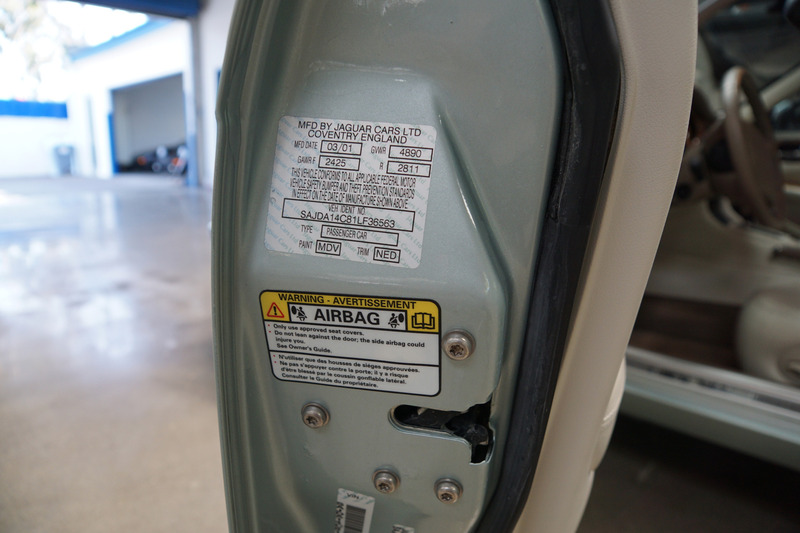 The engine is extremely strong and as new with no oil leaks, the transmission has a very smooth transmission through all the gears and the temperature always remains cool! 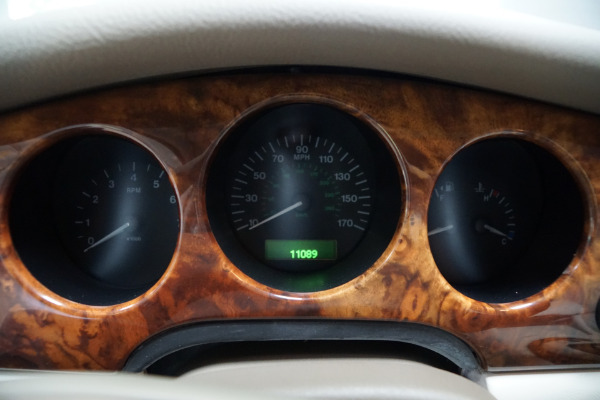 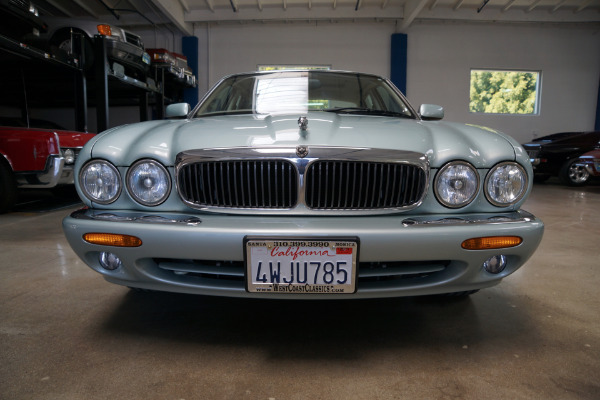 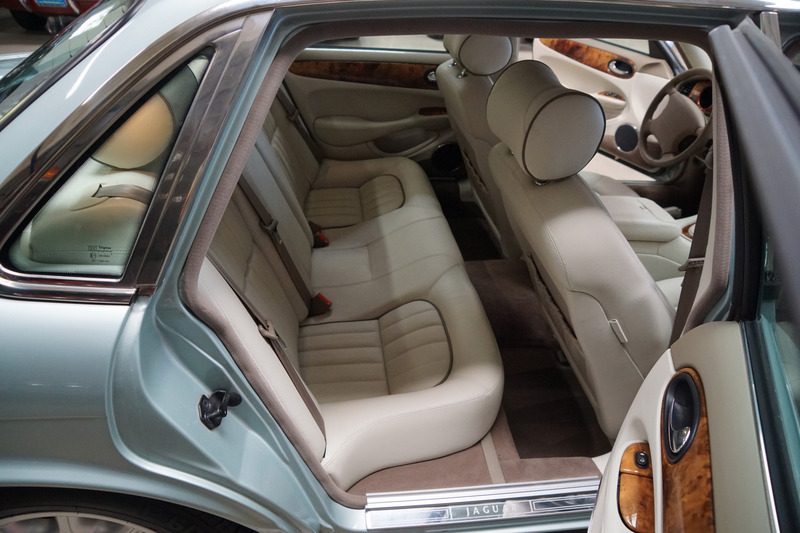 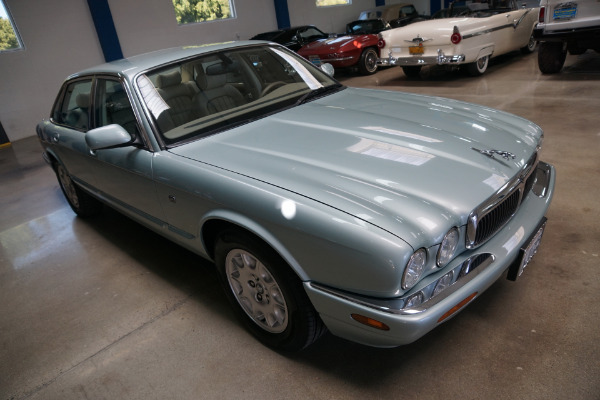 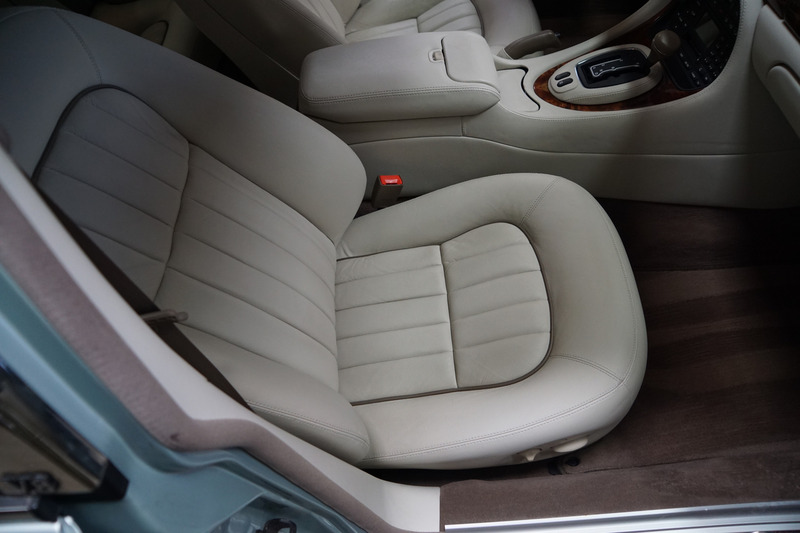 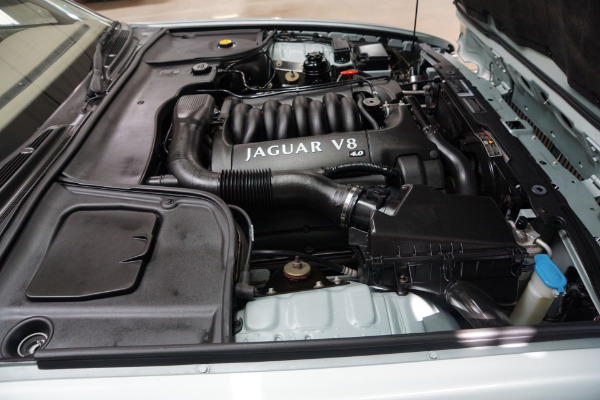 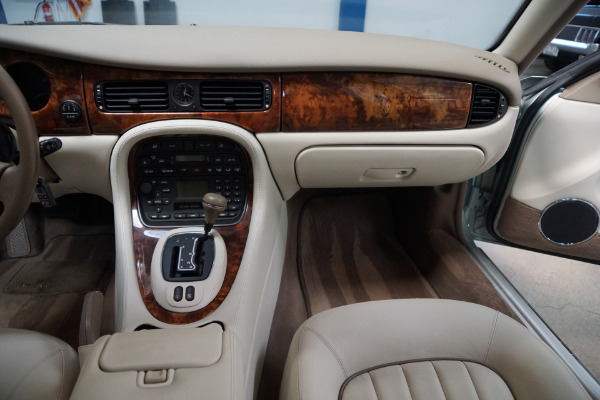 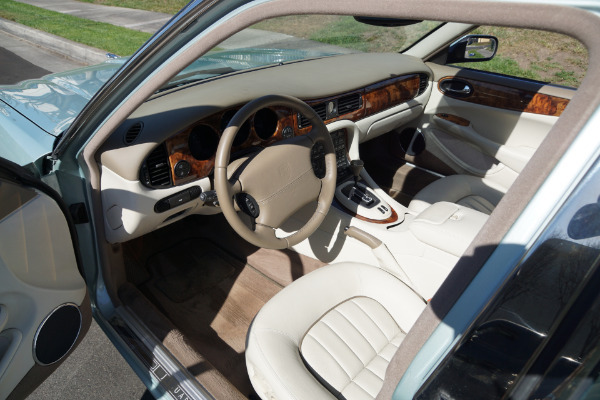 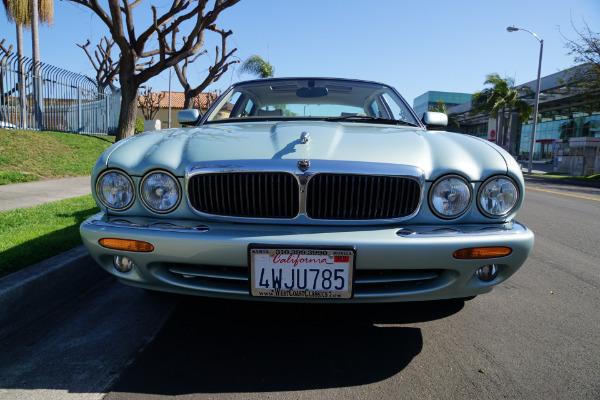 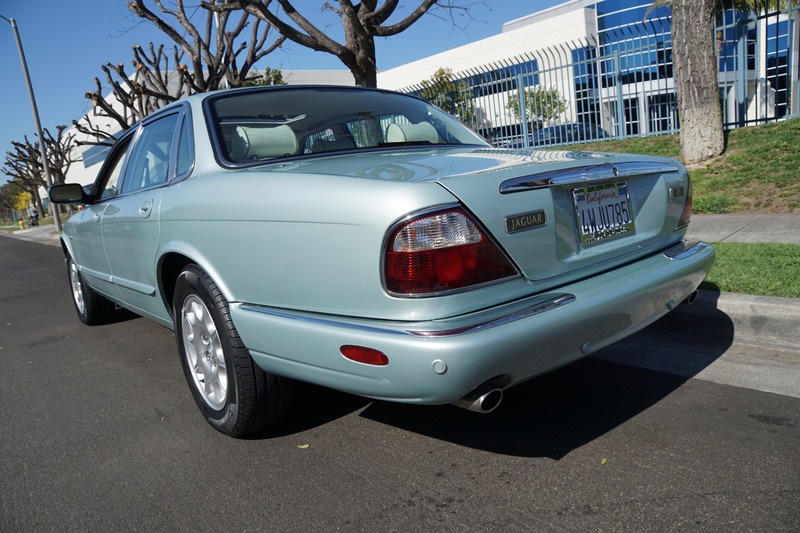 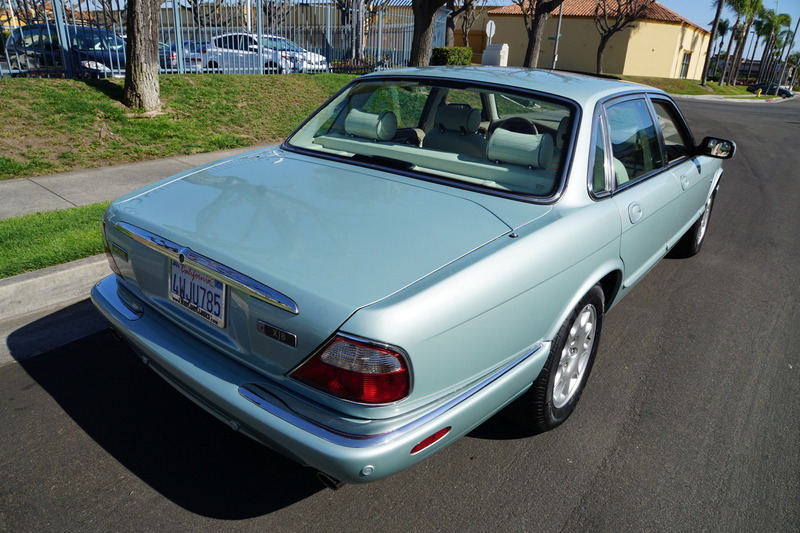 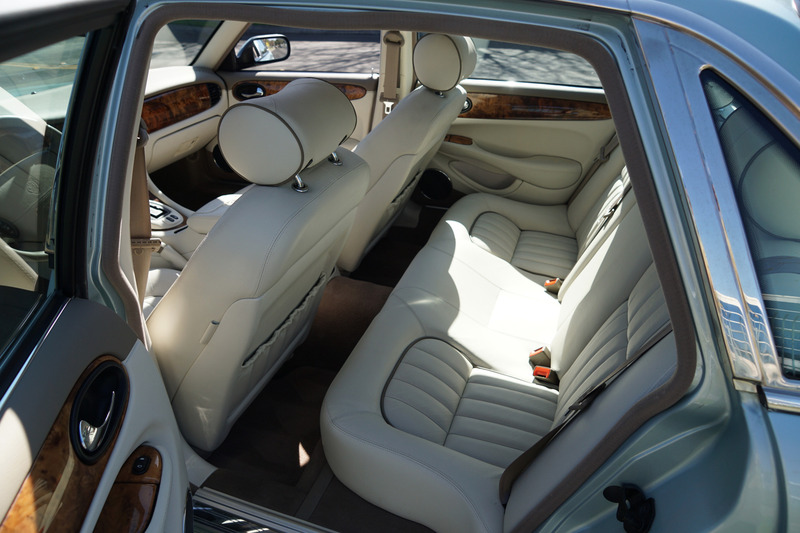 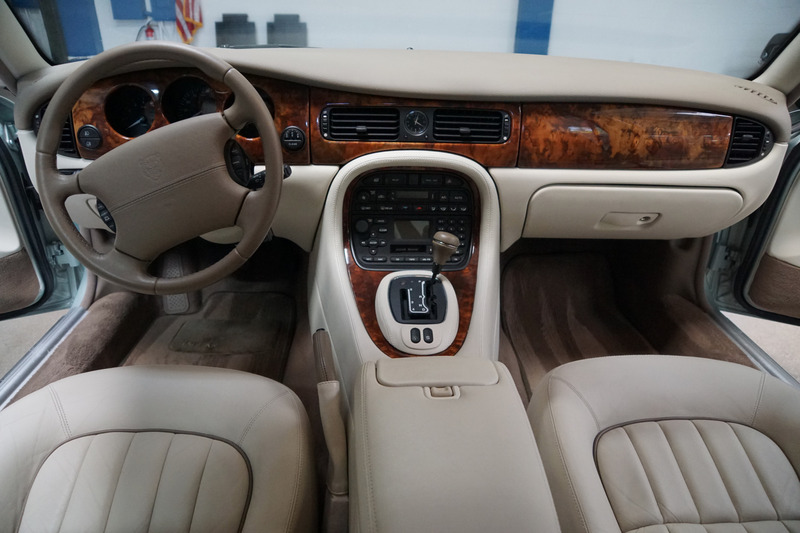 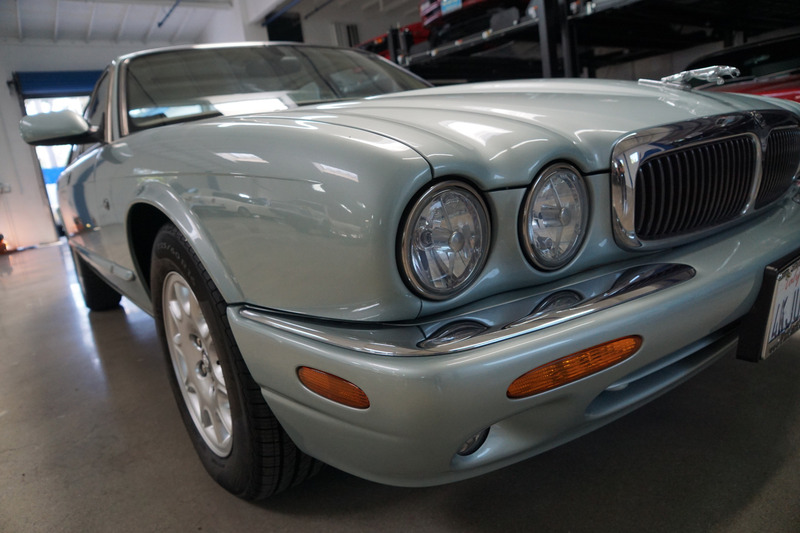 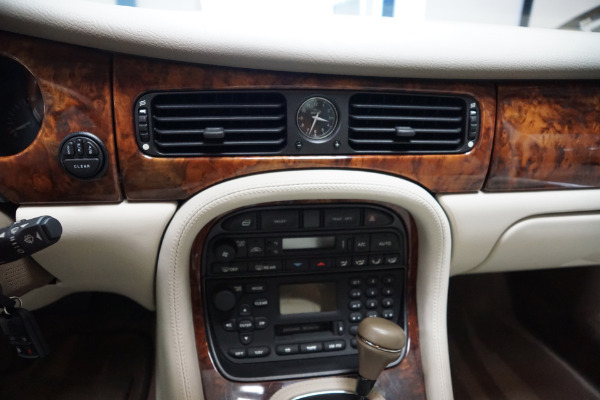 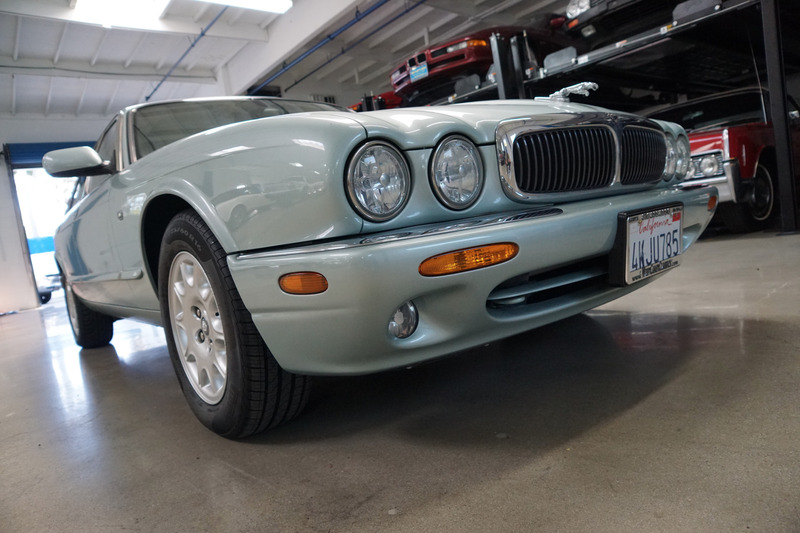 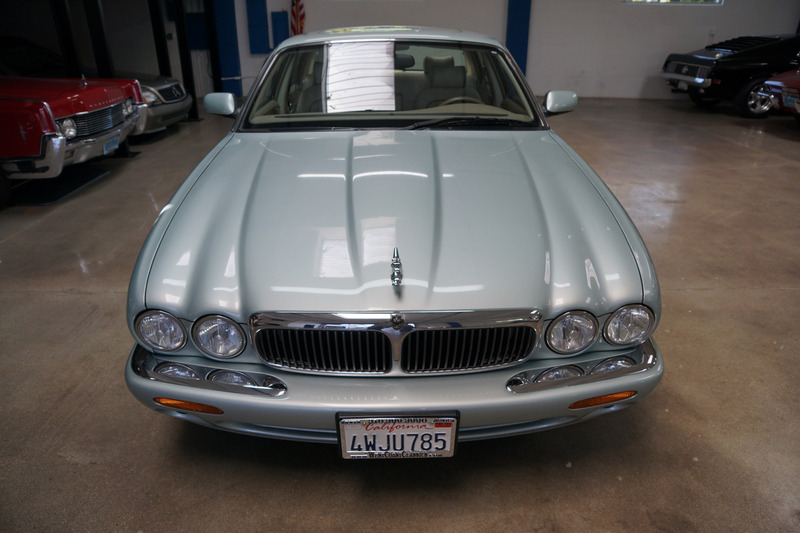 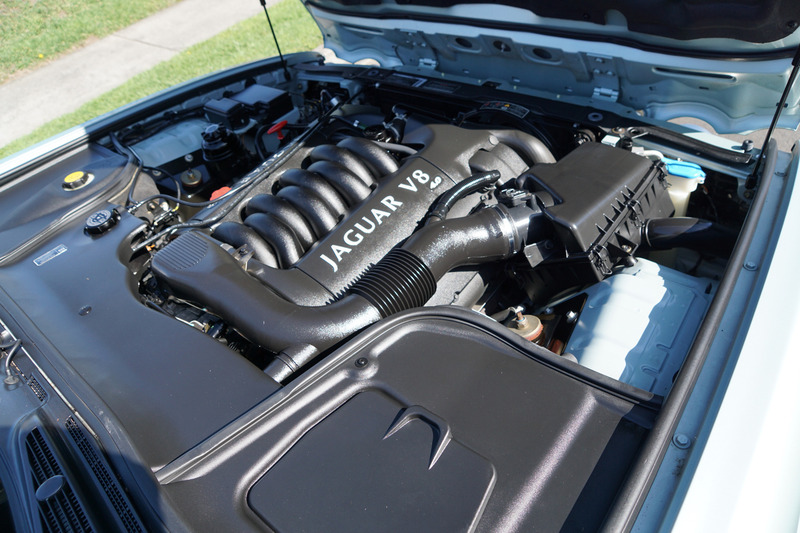 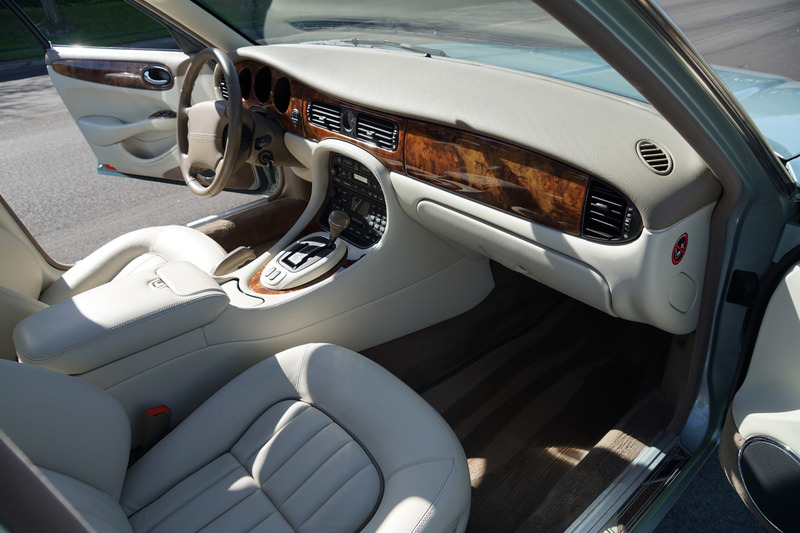 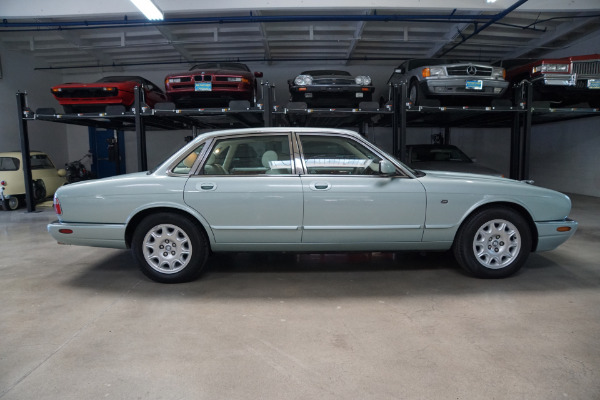 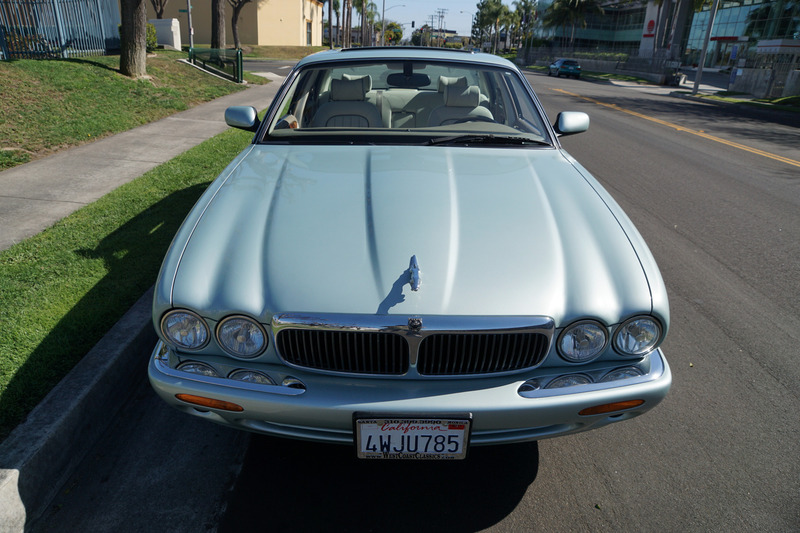 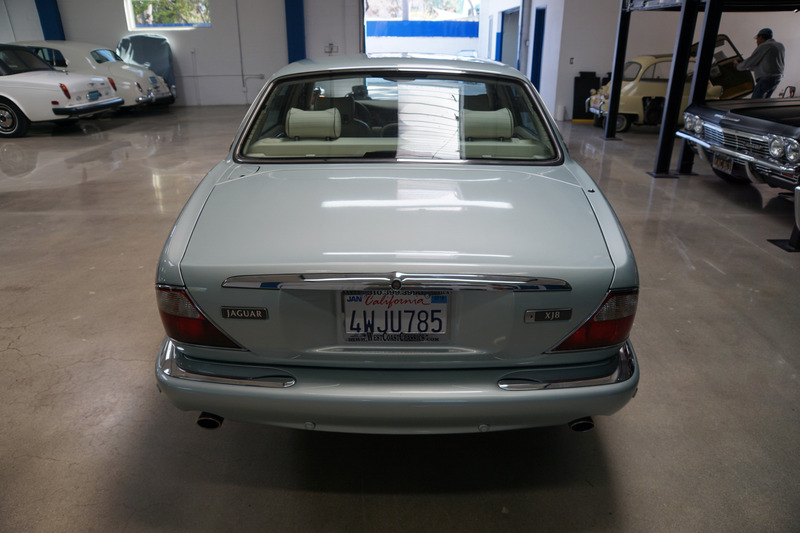 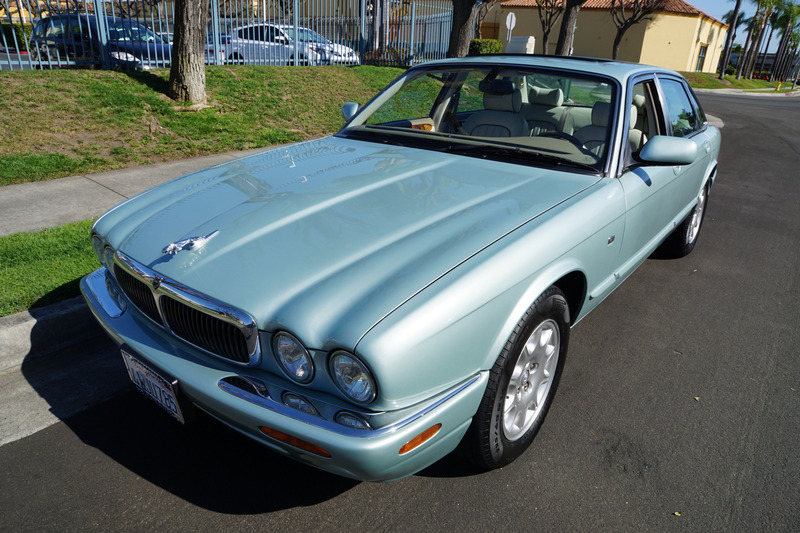 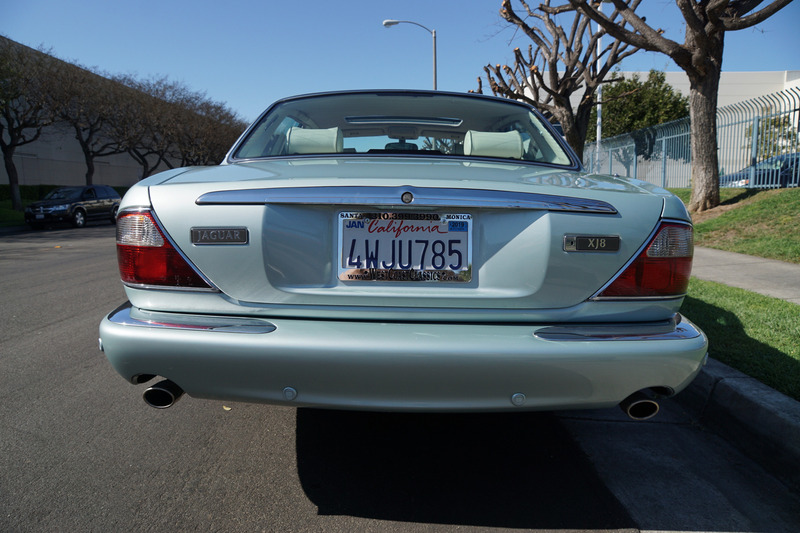 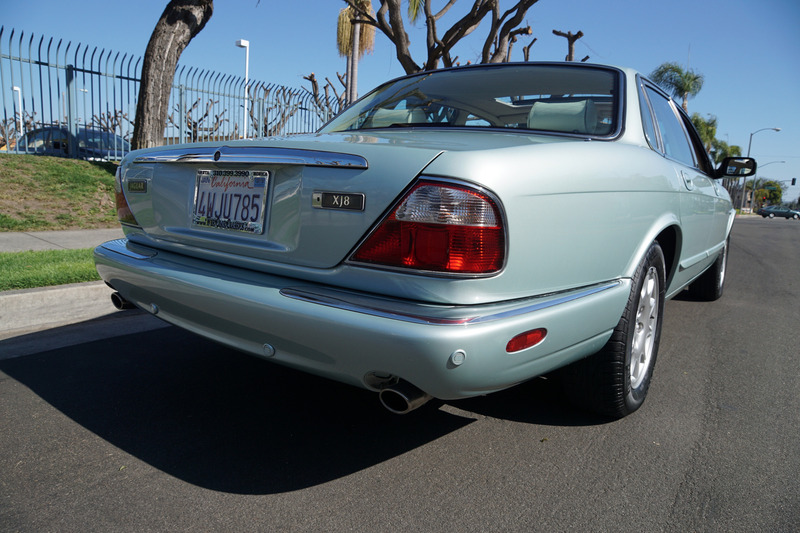 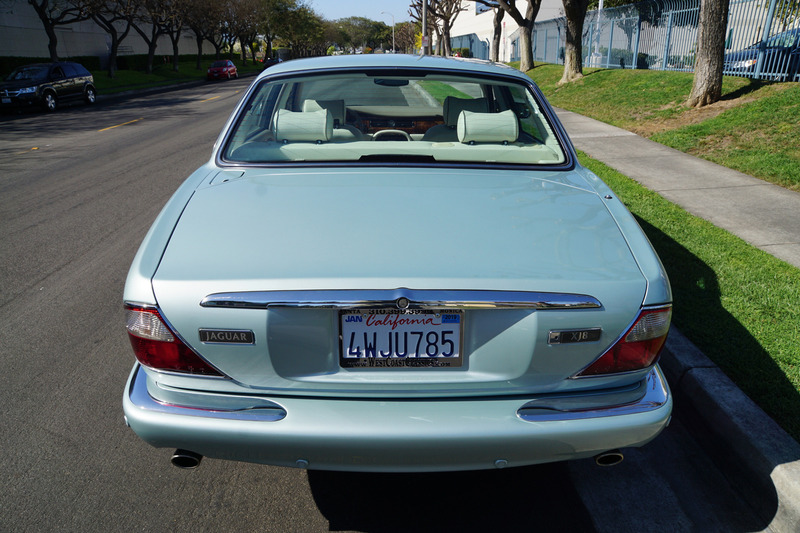 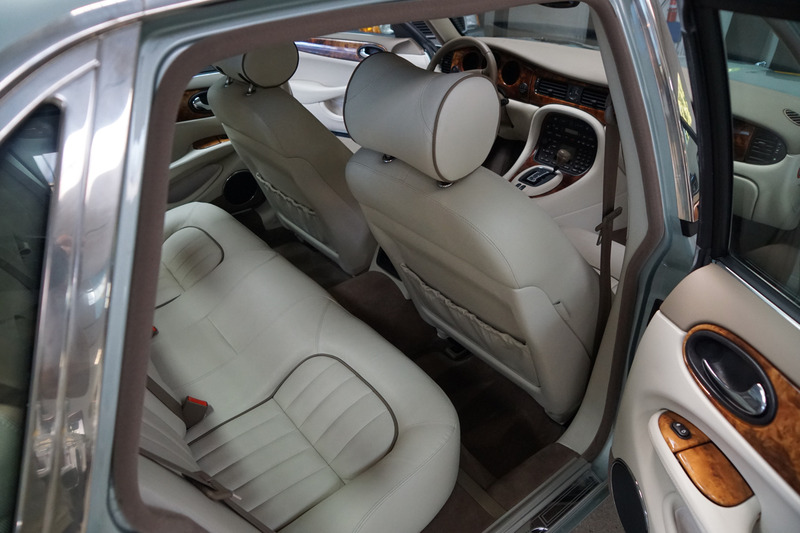 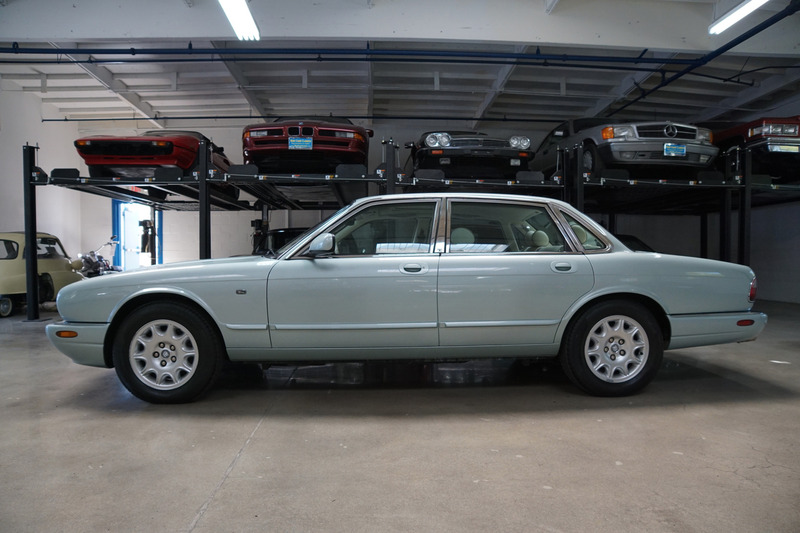 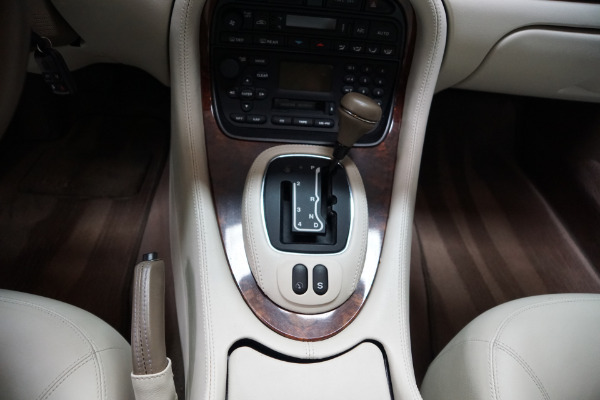 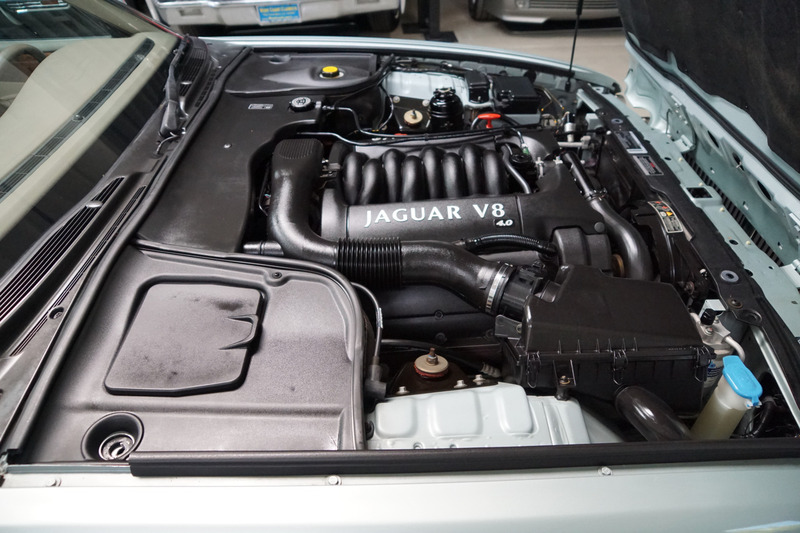 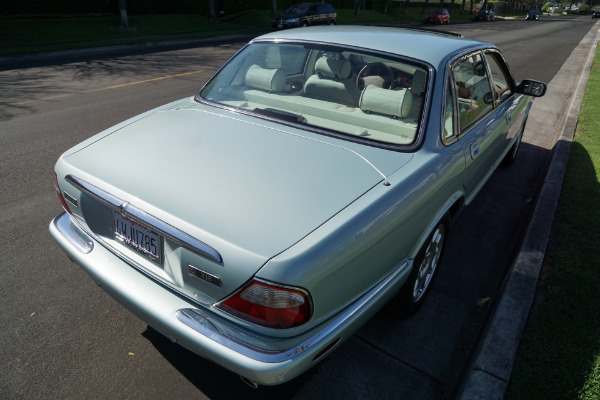 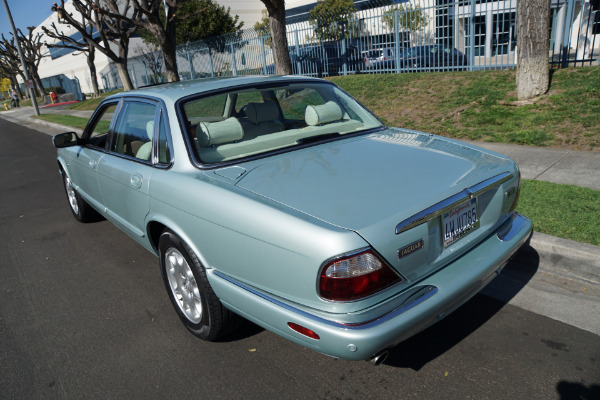 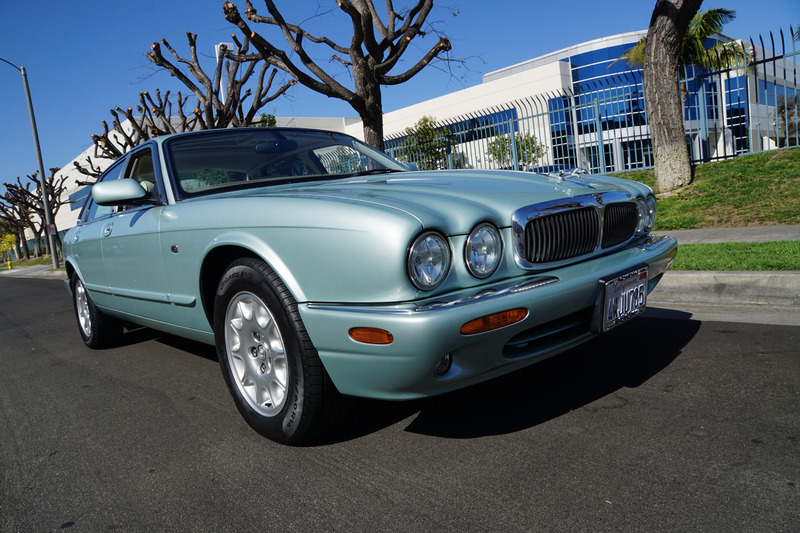 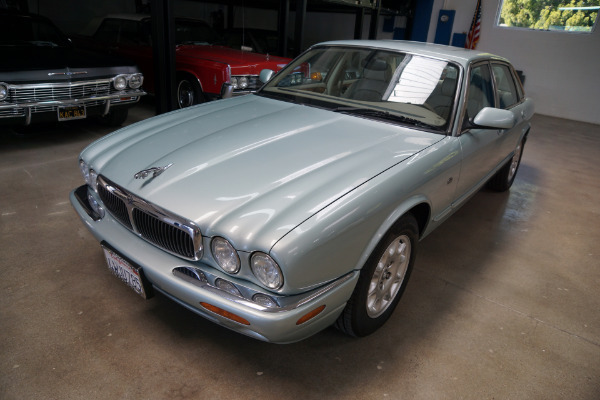 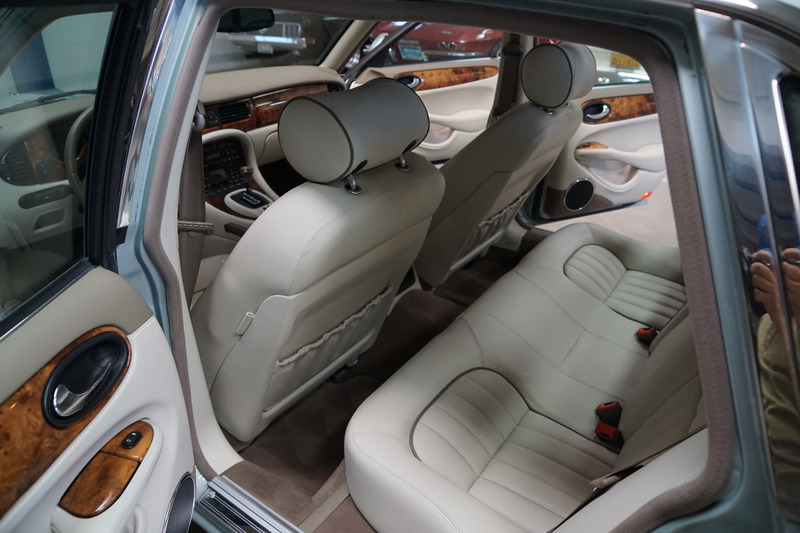 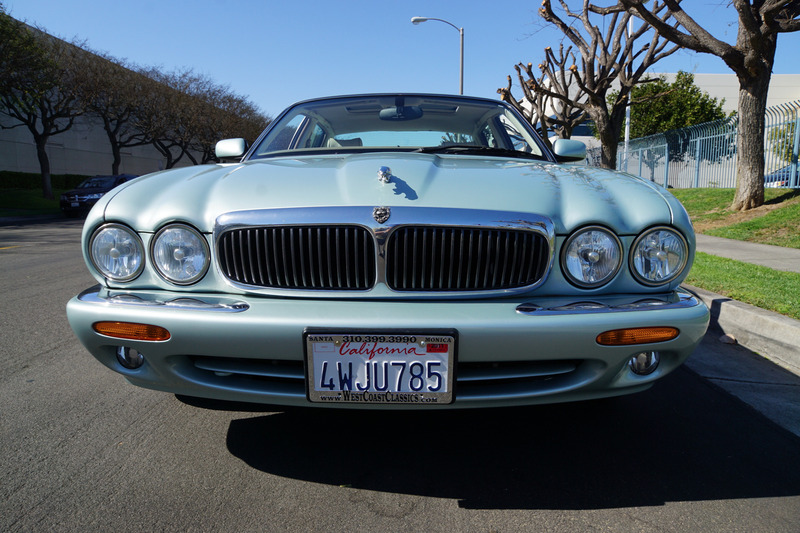 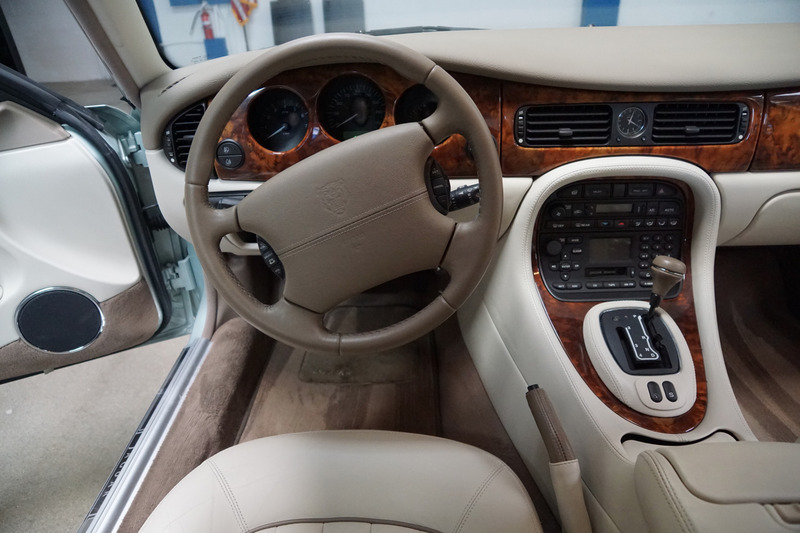 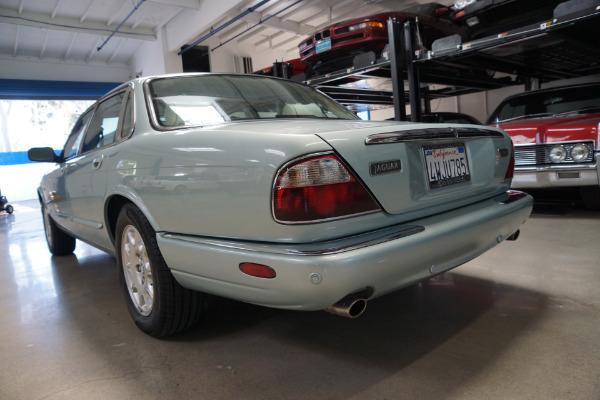 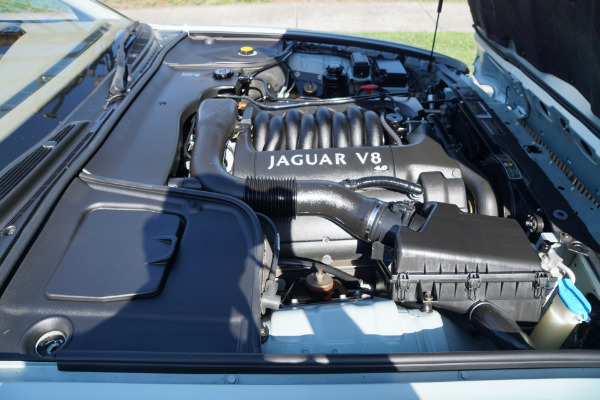 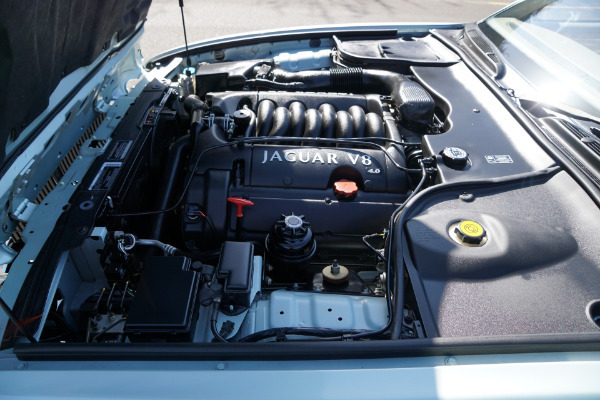 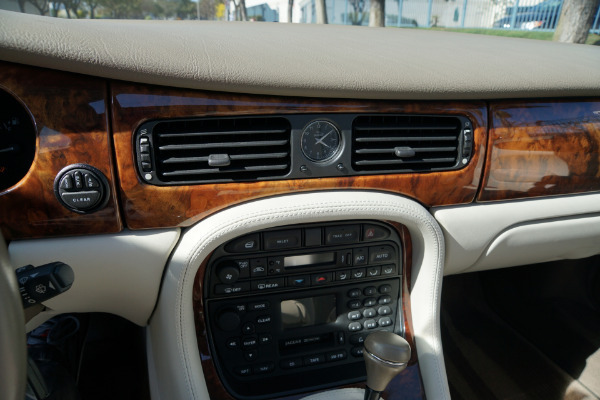 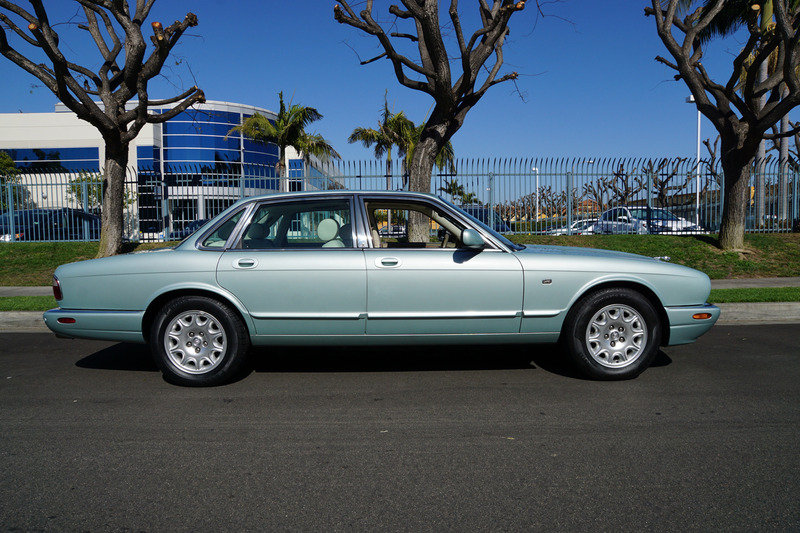 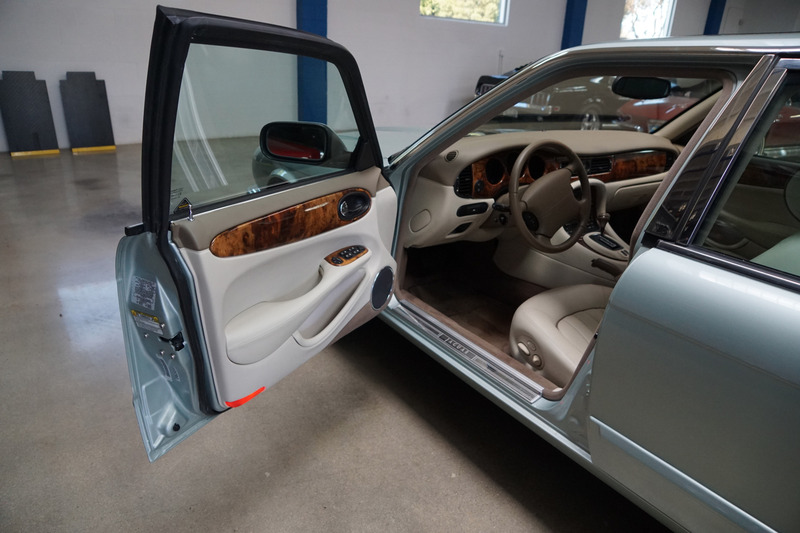 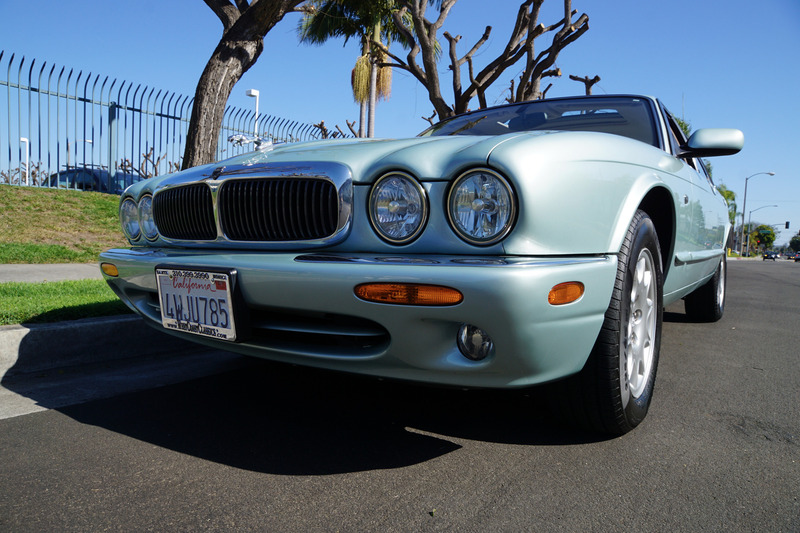 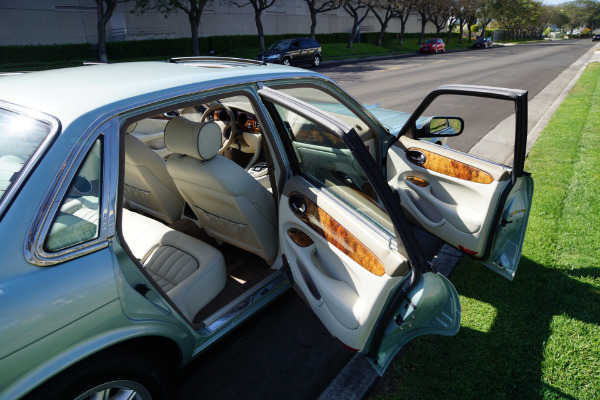 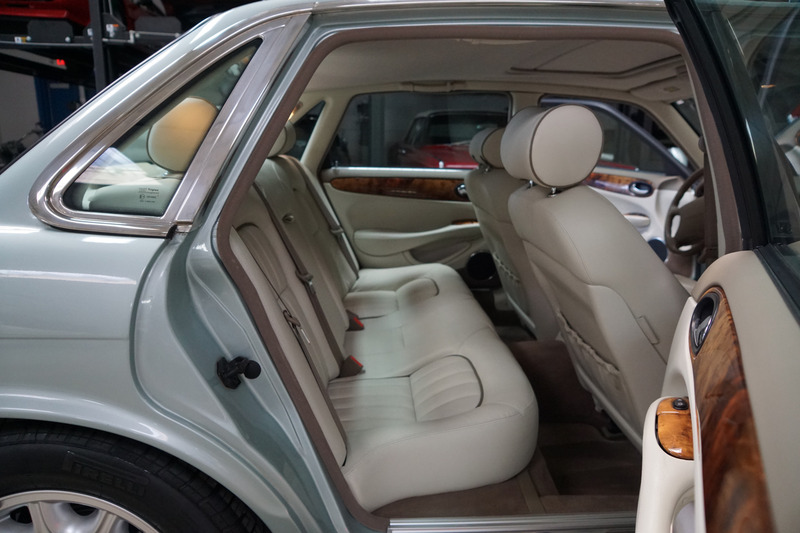 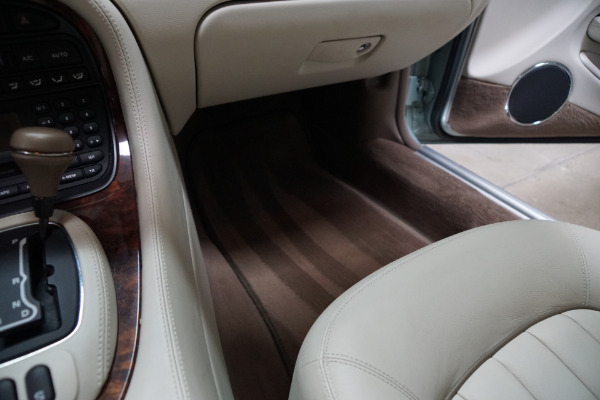 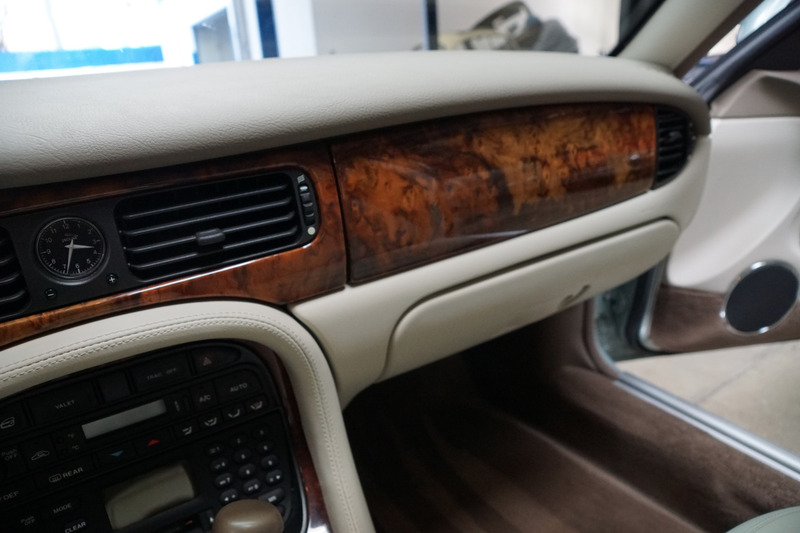 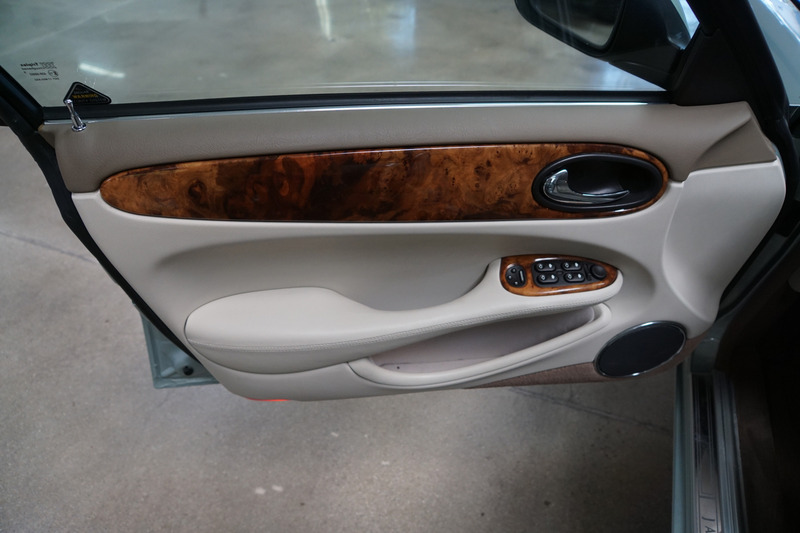 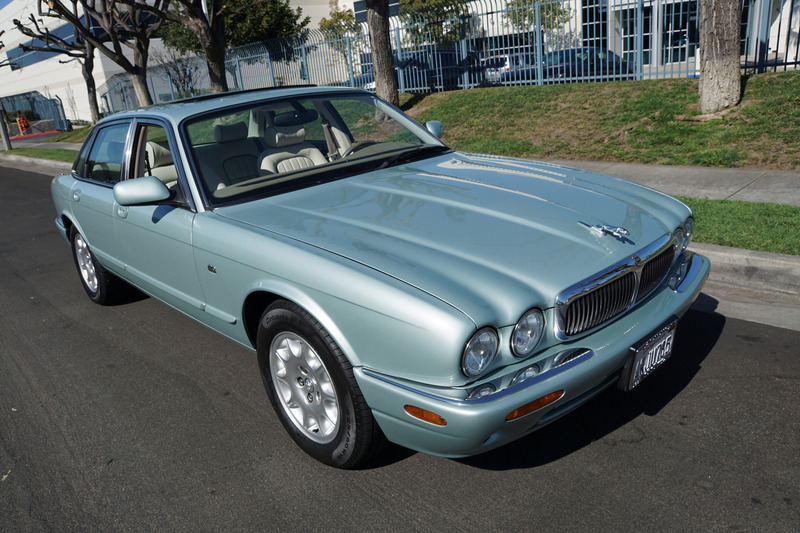 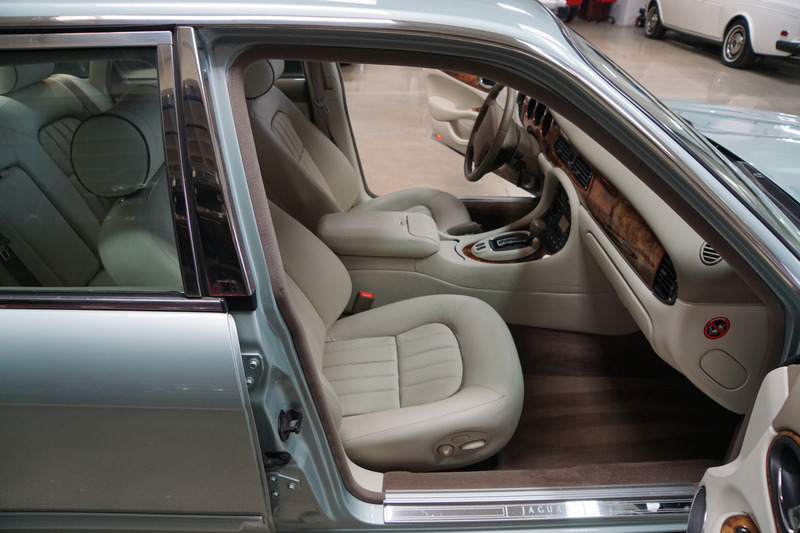 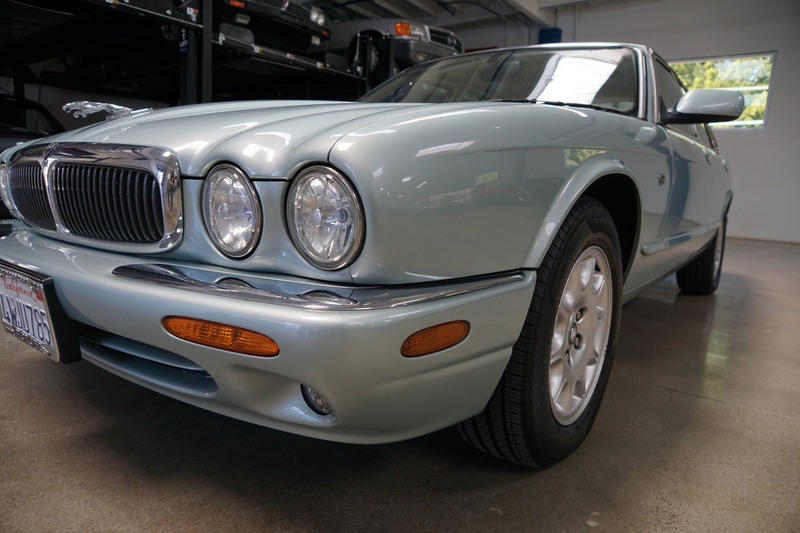 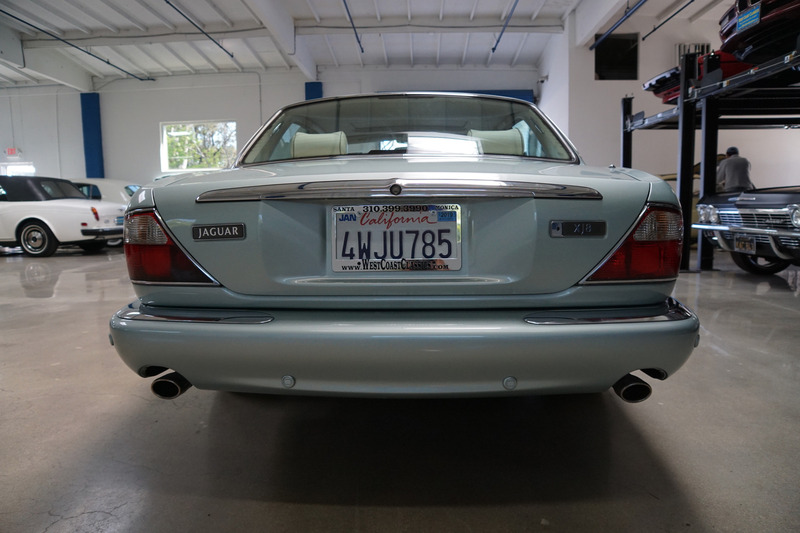 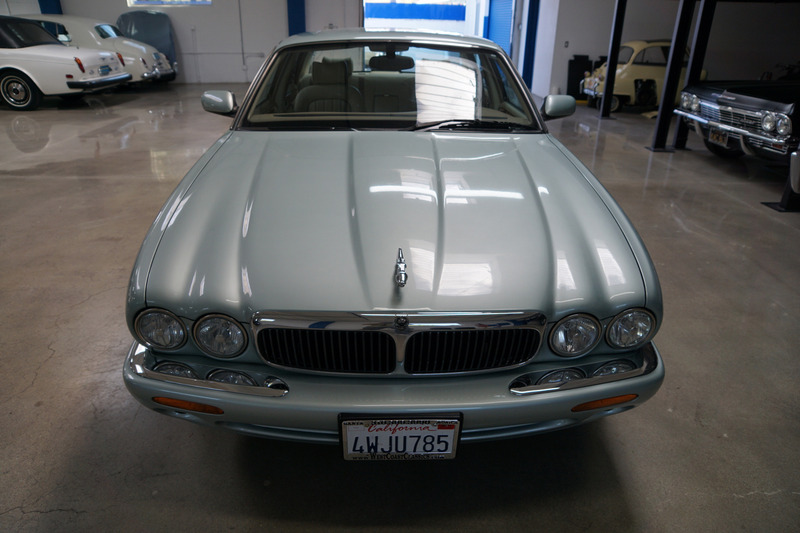 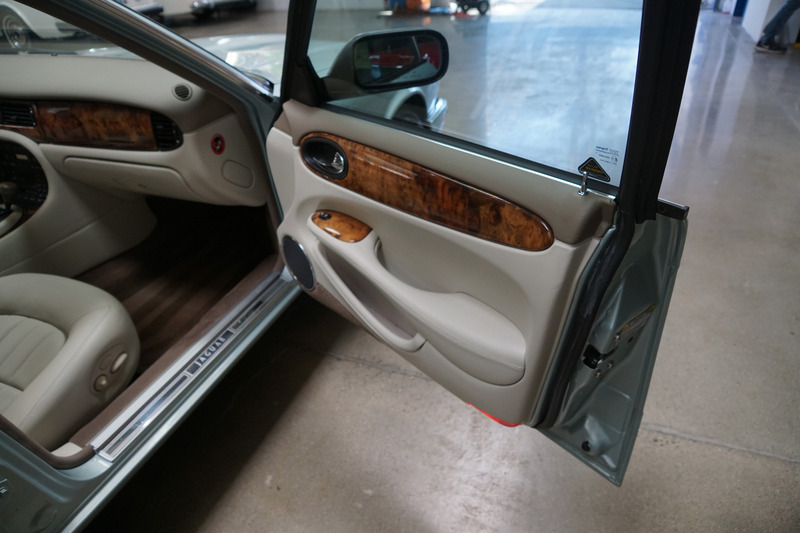 You will surely look long and hard to find a finer example of this exceptionally clean and desirable 2001Jaguar XJ8 for the ultimate luxury sedan driving experience with a low and original 11K miles available anywhere else!